The Common Core State Standards Initiative is a state-led effort coordinated by the National Governors Association Center for Best Practices and the Council of Chief State School Officers. The standards were developed in collaboration with teachers, school administrators, and experts to provide a clear and consistent framework to prepare children for college and the workforce. These standards are created from the highest, most effective models from states across the country and countries around the world and provide teachers and parents with a common understanding of what students are expected to learn. Consistent standards will provide appropriate benchmarks for all students, regardless of where they live. These standards define the knowledge and skills students should have within their K-12 education careers so that they will graduate high school able to succeed in college courses and in workforce training programs. 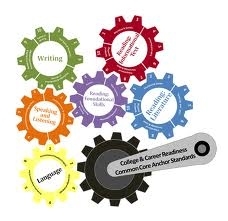 Just as media and technology are integrated in school and life in the twenty-first century, skills related to media use are integrated throughout the new Common Core Standards. To increase student achievement by ensuring educators understand specifically what the new standards mean a student must know, understand and be able to do. Descriptions of what each standard means a student will know, understand and be able to do. The “unpacking” of the standards done in this document is an effort to answer a simple question “What does this standard mean that a student must know and be able to do?” and to ensure the description is helpful, specific and comprehensive for educators.